Hey this is awesome work! Any chance you could do i686 builds as well? I would love to test this! Right now dnf refuses to install if you have system cairo i686, which is unfortunately (indirectly) required by steam and skype. @Giovanni: There are i686 builds as well, it's just that COPR doesn't setup multilib by default. You can either install the .repo file for i386 by hand, or install the package itself by hand. The former is likely better to get updates if they are needed in the future. I've waited ages & been stuck with b&w support. 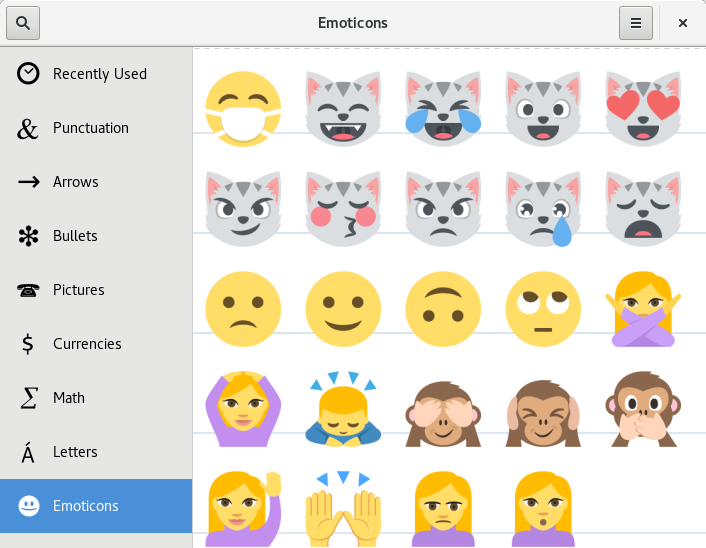 Linux could always user colored emoji fonts and going with EmojiOne set is a great choice since they are open-natured as well. 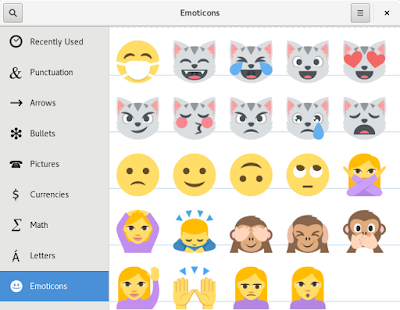 Im sure the EmojiOne team would gladly help since they've been part of some great projects and have also made a Chrome Add-on for emoji input. Also as user/contribute do let us know what(&where) we can do to help out this effort. Thank You to the team for investing your time into this! The design wiki page suggests text replacement to replace ":)" with the emoji equivalent... I really hope this will *not* be implemented. I use old-style ascii emoticons on purpose, because Emoji can look very differently according to what platform the receiving side is using and which font they have installed, which can lead to a lot of ambiguity. If text will be replaced with emojis as I type it, it will be very difficult to avoid these misunderstandings.